Only days after the December 7, 1941 attack on Pearl Harbor, William Wyler, who had begun shooting Mrs. Miniver less than a month earlier, applied to the Army Signal Corps as a volunteer. In the event, Wyler was eventually turned down by the Signal Corps, and other projects he tried to develop to help the war effort, including a film for Frank Capra's series Why We Fight, didn't come to fruition. But in June 1942 he was introduced to Major General Carl A. Spaatz, who was organizing Army Air Forces operations in Great Britain, which he invited Wyler to document. After summarily being made a Major in the AAF, Wyler rounded up equipment and a four-man technical crew in Hollywood and left for Britain, arriving in August just as the first American B-17 Flying Fortress bombers began flying combat missions over the Continent. Between early 1943 and the time aerial filming was completed at the end of May, Wyler and his film crew flew in several B-17 bombing raids, two of them in a B-17 nicknamed the Memphis Belle. The discomfort, not to mention the danger, endured by Wyler and his film unit on these missions was extreme. The noise from the engines was deafening and communication inside the plane impossible without an intercom. Unlike modern aircraft, the B-17 was not pressurized or heated, yet needed to fly at high altitudes, so crews had to wear bulky pressure suits to protect them from below-freezing temperatures and to carry around heavy oxygen tanks. The pressure suits and oxygen tanks, combined with the cramped interiors of the planes and the lack of oxygen at high altitudes, made for miserable working conditions for members of the film unit. "Taking three steps was like walking a mile," Wyler later said (Stevens 211). The actual filming involved even more difficulties. The handheld cameras, which held only enough film to shoot about three minutes of footage, had to be reloaded frequently and at minus sixty degrees Fahrenheit inside the B-17 often froze. Moving from one side of the plane to the other to shoot completely changed the light exposure. The speed at which enemy fighters came at the bomber meant they were often past before they could even be filmed. Above all, the tremendous personal courage of Wyler and his crew cannot be overstated. Over 80% of the planes in the group they were flying with were lost, and the unit's sound engineer was killed when the plane he was flying in was shot down returning from France. Wyler in particular showed a remarkable willingness to take risks, although he evidently didn't see himself as especially brave. "You didn't even think of the danger," he said in an interview at the American Film Institute. "There wasn't time; you only thought of getting it on film" (Stevens 212). From the beginning Wyler aimed for absolute authenticity. "Of course it was the real thing," he explained. "It was all done under the conditions of complete reality" (Stevens 211-12). Rather than a newsreel-style documentary, General Spaatz wanted Wyler to emphasize the human element of the soldiers flying these dangerous missions. With this is mind, Wyler decided to structure the film around the idea of a crew flying their twenty-fifth mission, after which their tour of duty would be over, and began to look around for a plane whose crew were nearing the end of their tour. There were several possibilities, but when he got a good look at the pinup-like figure painted on the nose of the Memphis Belle, his unerring instinct for telling visual detail told him he had found his plane and crew. In June 1943 Wyler returned to California to fashion a picture from the 19,000 feet of film he had, silent and shot in 16mm after the equipment he had assembled in Hollywood was lost in transit to Britain and never recovered. He brought the crew of the Memphis Belle to Hollywood to record voice-over dialogue for the film, which had now been blown up to 35mm. His original intention of a two-reel picture, though, quickly became more ambitious. To the dialogue of the plane's crew, Wyler added sound effects, music, and voice-over narration, tightened the initial seven reels to four (about 40 minutes), and pressed for commercial distribution of the film, tentatively titled Twenty-Five Missions. After a special screening at the White House which left FDR deeply moved, the President agreed: "This has to be shown right away, everywhere," he told Wyler (Herman 265). Retitled The Memphis Belle, the film opened in April 1944 in New York, where it received an unprecedented front-page rave review by Bosley Crowther, in which he called it "thorough and vivid" and praised its "real and exciting detail." 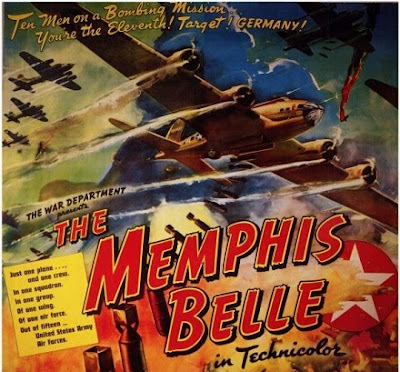 The Memphis Belle was later shown in more than 16,000 theaters in the U.S. In 2001 it was added to the National Film Registry. The Memphis Belle covers one day in the lives of a B-17 bomber crew as they fly the last mission of their tour of duty before shipping home. It documents step by step a high-altitude daylight bombing raid on the submarine base at Wilhelmshaven in northern Germany, beginning with the ground crew prepping the plane at an air base in Britain on the morning of the mission. Early in the film we are introduced individually to the ten members of the plane's crew, who are presented as ordinary men not much different from people the viewer is likely to know. While keeping our attention firmly on these men and their activities, Wyler manages to subtly include a great deal of factual detail about the nature of aerial warfare—"the new battle front: the air front." Even though Wyler frames the film as the story of the air raid told from inside the Memphis Belle, he places its role in the raid clearly in the context of the complex operation of which it is only one element, one plane of the one thousand taking part. The explanation of the operational procedures involved in the mission is detailed, lucid, and concise. Wyler deftly balances information and narrative, using the skill at succinctly making his point through potent images that was evident in the studio films he made in Hollywood. 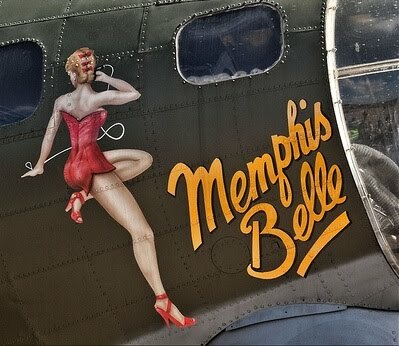 The Memphis Belle is always dramatic and compelling and suffused with a real sense of urgency, while at the same time being patriotically stirring in the best possible way, avoiding the jingoistic excess of much of the wartime output of Hollywood. Anyone watching it for the first time is almost certain to be moved by its simple message, presented without sentiment, that when placed in trying circumstances, ordinary people are capable of extraordinary behavior. Wyler's military career as a documentary filmmaker very nearly ended in March 1944, the month before The Memphis Belle was released, when he punched a hotel bellman in Washington, D.C., after the bellman made an anti-Semitic remark in his presence. (Wyler later reproduced this incident in The Best Years of Our Lives when Dana Andrews is fired from his job in a drug store after he socks a customer for making offensive comments.) Wyler was threatened with court-martial for misconduct but offered a way out if he would accept an official letter of reprimand. At first determined to fight the charge, he reluctantly agreed to the letter of reprimand so that he could continue with his next project for the War Department, a documentary about fighter squadrons involved in the Mediterranean campaign, which became the film released in 1947 as Thunderbolt. In early June 1944 Wyler arrived in Italy accompanied by John Sturges, a film editor and future director whom Wyler chose as his assistant director, and scriptwriter Lester Koenig, who had written the narration for The Memphis Belle. The subject of the new picture was the P-47 Thunderbolt, a single-engine fighter-bomber whose mission was air support of ground troops. This time there was no film crew. Not only was there no room in the plane for a cameraman, but the planes were already equippe d with cameras connected to the machine gun triggers. To these Wyler added more cameras mounted in various parts of the plane, which the pilot could turn on and off. Wyler and his film crew spent their time getting additional footage to combine with the film shot by the cameras on the P-47s—footage at the air base of the air crews between missions, ground footage of the combat the P-47s were involved in, and also aerial footage of the P-47s in flight taken from B-25 Mitchell bombers. By the end of September, Wyler felt he had shot enough film and traveled to London to begin putting the movie together. After sending Sturges and Koenig back to Hollywood to do more work on the film, he stayed behind, returning to the Continent to follow the Allied invasion. In February 1945 he returned to Rome to shoot more footage from a B-25, what he called "atmosphere shots" of the Italian landscape. During one of these sessions, Wyler suddenly lost his hearing. As he described it, "My hearing just went" (Herman 275). He had suffered nerve damage which left him permanently deaf in both ears, a devastating experience that resulted in a period of deep depression. When Wyler finally accepted his condition and began working again after the war, he was able to compensate for his hearing loss by wearing headphones connected directly to the sound recording equipment. Thunderbolt focuses on a squadron of P-47s stationed at the Alto air base on Corsica. The film deals with a two-month long operation in central Italy, Operation Stranglehold, the purpose of which was to strike behind enemy lines to cut off supply routes. The footage of the low-level raids conducted by the P-47s gives a much more vivid sense of the damage done—we can clearly see buildings, bridges, trains and trucks being strafed and bombed—than the rather remote and indistinct damage of the high-altitude bombing mission described in The Memphis Belle. Later in the film, after Allied forces have liberated Rome and moved north into the area involved in Operation Stranglehold, we see from the ground just how extensive was the destruction. Not only does the depiction of warfare seem more graphic and specific in Thunderbolt than in The Memphis Belle, but the film has an altogether less idealized attitude toward the airmen in it. Thunderbolt shows much more of the lives of the pilots between missions, emphasizing the alternation of the routine activities of daily life with comparatively brief periods of intense danger. "In danger a couple of hours a day. The rest of the time, you're out of it," the staccato, Hemingway-style narration tells us as we're shown footage of the airmen going about their daily lives. The film also has a more grim attitude toward the danger these airmen faced. At one point we see the wreckage of a P-47 that crashed a few hundred feet short of the runway at Alto, then a gruesome shot of men pulling the body of the pilot from the smoldering wreckage. "For some the war is expensive," the narrator says. "You wish the people back home could at least see it." And this is the biggest difference between Thunderbolt and The Memphis Belle: here we're shown much more explicitly the war's human cost. By the time Thunderbolt was finished in 1945, its time had passed: the Second World War had been over for six weeks. The Memphis Belle had been considered so vital to the war effort that it was distributed free to exhibitors by the government, but the new film aroused no interest at the War Department. Nor were commercial distributors interested, feeling that the public had had enough of war documentaries. 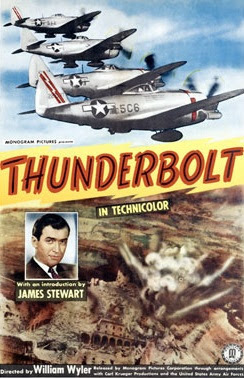 Thunderbolt was finally released by the Poverty Row studio Monogram Pictures in July 1947. After all the work Wyler had put into it, risking his life repeatedly and even sacrificing his hearing, the film caused little enthusiasm, even with a prologue by James Stewart added to it, and quickly became a historical relic. As Stewart says in his introduction, only three years after the events described in the film happened, they seemed to war-weary Americans as distant as "ancient history." Making Thunderbolt and The Memphis Belle changed William Wyler irrevocably. As his biographer Jan Herman wrote, "Wyler came back from the war a changed man. Like millions of returning veterans, he had been radically altered not just physically but emotionally" (278). The things Wyler experienced and witnessed while making those two war documentaries created lasting impressions that were to play a huge part in inspiring him to make his first Hollywood film after the end of the war, one of his greatest and the one that would bring him the second of his three Oscars for directing: The Best Years of Our Lives. Herman, Jan. A Talent for Trouble. New York: Putnam, 1995. Madsen, Axel. William Wyler: The Authorized Biography. New York: Crowell, 1973. Stevens, George, Jr., ed. Conversations with the Great Moviemakers of Hollywood's Golden Age. New York: Knopf, 2006. This post is part of the William Wyler Blogathon. 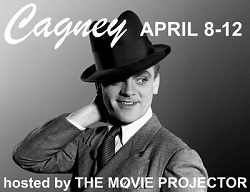 For more information and a schedule of posts, visit the William Wyler Blogathon page at The Movie Projector. The Memphis Belle and Thunderbolt are included in the DVD WWII: In Color (Topics Entertainment, 2008). The win-win situation of participating in this Blogathon has been being introduced to so many terrific sites and learning so much about a director I'm thoroughly convinced has been given woefully short shrift. I knew nothing of these wartime documentaries and I enjoyed your detailing the bravery behind Wyler's efforts and the costly toll (until now I never knew how he lost his hearing! I enjoyed the post a great deal, and as a side note, it was good to read that Bosley Crowther actually had something nice to say about a film. A marvelous post! While reading your reviews I kept thinking "These films could only be directed so beautifully by someone who had experienced war first hand" then you bring up how Wyler was affected by his time on the battlefield. What a huge accomplishment as a director to have your work screened for a sitting president then have it received so well. I saw Memphis Belle only once several years ago but after reading your review of Thunderbolt and now feeling like it was a better film for that genre and for Wyler, I look forward to seeing it. Two very nice reviews with great behind the scenes info and a successful Blogathon you've hosted. R.D. Have not seen these two films but I will have to check with the local library or otherwise break down and buy them from Amazon. You put together two fascinating stories about filmmaking under extremely rough conditions. These two documentaries made for an impressive and smooth transition back to Hollywood with his first post war film, "The Best Years of Our Lives." The three films would make for a affecting triple feature. R.D. : So happy you reviewed these films. Last week I bought a collection of WWII documentaries specifically for "Memphis Belle," so I can't wait to watch it after reading this review. I'll have to search for "Thunderbolt" as well. This was a crucial entry in this blogathon as it did affect what he did in "The Best Years of Our Lives." This is such a beautifully written and extremely well researched post. It highlighted a, for me, not well known aspect of Wyler's work in documentary film, as well as giving an intense look at the dangers he faced during WW2. This has been an exceptional blogathon, with many great and perceptive posts; and its quality is reflected in your own passion for and writing on the subject of Wyler. Thanks so much! "The Memphis Belle" and "Thunderbolt" are now more than titles on a filmography to me as you paint a picture of a harrowing time and personal bravery. Sad to say I have not seen either of these documentaries, but the beauty of reading this spectacular, ever-fascinating post is one of discovery. When one ponders Wyler, what usually comes to mind are the heated dramas of the late 30's and 40's, and his later successful forays into genre. You could always think that the two films Wyler made here had actually been done by William Wellmann. Your altogether engrossing and provocative essay makes a strong case for Wyler's transformation as a result of the intensity of the war experience. His much celebrated work in MRS. MINIVER and THE BEST YEARS OF OUR LIVES of course was further evidence of his deft handing of this subject, the latter no doubt heavily influenced by his own stint in service. R.D. 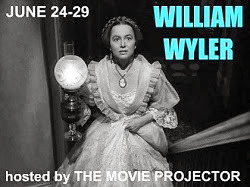 : I am hardly surprised that this great blogathon's venerable creator and proctor has turned in one of the project's most stupendous pieces, one that is surely the last word on this subject and proof parcel of how vital and influential these film's are in Wyler's career. I have every intention myself to check these out ASAP. Congratulations on the blogathon, which by all barometers of measurement was a huge winner. The amazing time and effort you put in not only in penning this great piece by in support of all your writers was a true labor of love. Because this post is essentially a factual report on the subject, I'm going to forgo responding to each individual comment and simply thank everyone who left a comment. This was a challenging post to write because it's so different from the film review I normally write. But I thought the topic was an important one because it covered a period of transition in Wyler's life. The biggest challenges I faced were organizing the large amount of material I gathered from the sources I used and then reducing it to the minimum amount of information that adequately described Wyler's activities in the Second World War. Separately, I also want to thank everyone who left kind comments about the Wyler blogathon. Organizing the blogathon was far easier on my nerves than watching it take shape during the six days it ran! I'm really pleased with the results. Every major film of Wyler's career was covered, in a range of approaches and writing styles that had marvelous variety. I was tremendously impressed with the way the films covered in the blogathon got such careful and thorough treatment. Thanks again to everyone who put so much effort into writing posts for the blogathon, who read posts in the blogathon, and especially to those who took the time to leave such encouraging comments for the bloggers who participated. R.D., first of all, congratulations on the success of the blogathon and thanks for all your hard work in organising it. This is a fascinating posting - I hadn't realised that Wyler was so heavily involved in the war and indeed ended up disabled from it himself, something which must have contributed to the power of 'The Best Years of Our Lives'. So far, out of these two films, I've only seen 'The Memphis Belle' which I just watched before reading your piece - I was wondering how on earth some of this footage was captured on film, and had a lot of questions which you have answered. I saw this film, which is in the public domain, via the Openflix channel at Youtube and the picture quality is reasonably good. (It's also at archive.org, but the picture quality there looked worse, though it may be better if downloaded.) The restored DVD appears not to be available in the UK except on import, ironically, as the famous aircraft was based in my home area, East Anglia, and local landscapes feature heavily in the film. I also remember the later drama 'Memphis Belle' being filmed in the region. Very well written! Thank you! Actually, William Wyler participated in 10 missions in B-17's on their daylight bombing flights over Germany. It is interesting to see the statistics on the 8th air force. Overall, the bombing runs did not have much effect on Germany and the toll on the airmen was enormous. Something like 50% of the 8th airforce airmen did not survive 25 missions. Wyler went on his 10th mission on a dare and because a friend said that he would receive some kind of medal for 10 and he figured "What the hell..." That was the flight where he was almost shot down and returned with several pieces of flak that just barely missed him. Mr. Wyler, thank you so much for your comment. I stated that William Wyler flew five raids based on information in Jan Herman's biography. He writes of that last illicit raid (Wyler had been barred from flying any more missions because of fears of what might happen to him if her were captured by the Germans): "Wyler would fly one more raid on May 29....As his fifth mission, it would qualify him for the Air Medal" (259). Did he get the number of missions wrong? I've gone back and revised that sentence so that it no longer refers to a specific number of raids. R.D., First a thank you and kudos for hosting a wonderful blogathon in tribute to William Wyler. Though my focus was primarily on the film I chose as my subject, I learned much about Wyler, the filmmaker and the man, and several of his other films as I researched. The result has been an even greater appreciation for him and his work. And I owe you thanks for that, too. Though aware of Wyler's work on behalf of the war effort, I haven't seen either "The Memphis Belle" or "Thunderbolt." My first reaction to what you describe is a thought that has recurred throughout this blogathon: Wyler was a staging genius. He had many other strengths, of course, but his "instinct for staging" was stunning. R.D. - what a wonderful topper to a wonderful blogathon. I enjoyed each and every post and yours is no exception. After these few days, what more is there to say about how great a director Wyler was. Thank you so much. How nice to see these two films covered in your blogathon, as they're typically just footnotes in Wyler's filmography. By the way, my father-in-law was a B-17 pilot during WWII and talked fondly about the "Flying Fortress." I echo the comments of everyone else about the merits of your first-rate blogathon, which featured many first-rate essays on the films and career of Mr. Wyler. My father's best friend was a gunner in a bomber during WWII and had nothing but good things to say about "Memphis Belle." I've never seen it, or "Thunderbolt" but your descriptions are most mouth-watering. While a non-Wyler film, he thought Henry King's "Twelve O'Clock High" was one of the most realistic, and greatest, war films he had ever seen. Thanks, RD, for organizing a most entertaining and enlightening blogathon. Kevin, I found "Twelve O'Clock High" outstanding and when I wrote a brief review of it a couple of years ago gave it **** (and I'm not a particular fan of war pictures or Gregory Peck either, but this film was an exception). Beirne Lay, Jr., who cowrote the novel it was based on and the screenplay, was responsible for logistical operations for Wyler's unit during "The Memphis Belle" and it was he who ensured that Wyler had full artistic control of the film. After the war, Wyler briefly worked with Lay and his cowriter on the screenplay for "Twelve O'Clock High" apparently with directing it in mind. But he was under contract to Paramount, and they passed on the script, which then went to Fox. In subject, "Twelve O'Clock High" has a lot in common with "The Memphis Belle" and they would be a great double feature. It would have seemed a natural project for Wyler as a follow-up to "The Best Years of Our Lives." Thanks for this informative and interesting post! I always find it fascinating to learn about the ways many Hollywood stars and directors were still involved with film even while serving in the armed forces, and the different forms these films took on. R.D. - Great post on this important phase of William Wyler's life. At the Coronado Library that I direct we finished a year-long commemoration of the Centennial Of Naval Aviation, which had its roots in Coronado. We showed several films as well a having other programs and exhibits on that subject in 2011. Alas we didn't show these documentaries since we were focused on the Pacific as this was Naval aviation's theater. Many veterans and their families ahared some of the same type of experiences that you relate. Until the B-17s had fighter escorts attached to their missions (a question of sufficient fuel)they were large targets for everything Germany could throw at them. Although Hitler never conceded the effects of these bombing missions, and thus they didn't cause an immediate end to the war, they slowly eroded Germany's ability to agressively continue making war. One of the most moving accounts I have ever heard about these bombing raids was that of WWII pilot Quentin Aarenson, who flew the Thunderbolt as well as other bombers, made on the KPBS series "The War." Thanks for bringing these two films back to light. Your post on these docs was as interesting as it was informative, RD! Thanks again for a wonderful blogathon, and for allowing me to be a part of it! I do not withhold plot details that are necessary to make my point.